Beijing confirms that Confucius Institutes subvert Western academic freedom. Critics have argued that China’s Confucius Institutes pose a threat to academic freedom in the United States, Canada, Europe and beyond. Now the Beijing official in charge of them has confirmed it. If you’re new to this issue, the Chinese government has set up 1,100 of these state-run institutes since 2004 to teach language and culture within universities and grade schools world-wide. Now the institutes are facing long overdue scrutiny, and some universities and school districts are closing them down. On Sunday the BBC interviewed Chinese Vice Minister Xu Lin, director-general of Confucius Institute Headquarters. She confirmed in no uncertain terms that her organization exports the values of the Chinese Communist Party to foreign academic institutions, from Columbia and Stanford to neighborhood elementary schools. Ms. Xu described how the teachers must file official reports and answer questions about whether they discussed politically sensitive subjects in the classroom. 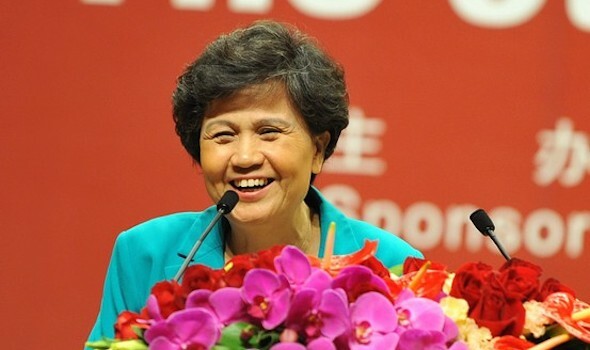 She also confirmed that Beijing forces foreign institutions to deny employment to believers in Falun Gong, a spiritual movement banned in China. We wrote about Ms. Xu this summer, when her staff tore out pages from the program at an academic conference in Portugal. She was offended by the co-sponsorship of a Taiwanese foundation. Queried about this by the BBC, Ms. Xu was dismissive. “Nobody worried, I was there,” she claimed—even though the European Association for Chinese Studies brought the episode to light as a “totally unacceptable” act of academic bullying. When the BBC’s John Sudworth pressed on, Ms. Xu became impatient. “I think you shouldn’t ask this question,” she said. “The Taiwan issue is our own issue. It’s a China issue. It’s not a foreign people’s issue.” She demanded that Mr. Sudworth erase their discussion of the “Portugal issue.” Mr. Sudworth refused. Not all scholars and politicians are so credulous. The University of Chicago and Penn State recently closed their Confucius Institutes, while Canada’s largest school district, in Toronto, nixed plans to open one. Ms. Xu’s comments now challenge the legions of American university and K-12 leaders who have never raised concerns, even as most of them signed secret contracts with Beijing. New Jersey Rep. Chris Smith has pledged to investigate such contracts and examine whether institutions should lose government funds for restricting academic freedom. Such efforts can help, but a broader shift in attitude is needed. Students deserve opportunities to study Chinese language and culture without wearing ideological blinders provided by Beijing. To the extent that Beijing-backed Confucius Institutes shape instruction in the West, Chinese government interests will increasingly trump academic freedom. From FOFG Editor: Below is a list of some of the Confucius Institutes that a supporter provided. (Source: http://confuciusinstitute.unl.edu/institutes.shtml) FOFG encourages website visitors to check to see if their alma maters or current schools are on the list. If you find yours, please consider sending a copy of this article or a link to it to the school or university, as well as your own concerns.